﻿ Silverstone date to change in MotoGP calendar reshuffle? The 2010 British MotoGP at Silverstone could be moved from its provisional June 6 slot with a major re-shuffle of next season’s premier class calendar expected. Finalising next year’s calendar has been something of a major headache for Dorna, with several key dates clashing with high profile Formula One events. The French GP at Le Mans, scheduled for May 16, clashes with a new date for the Monaco F1 race. And with Monaco being one of the most popular F1 races, Dorna won’t go head-to-head in the TV ratings. Another significant clash is Valentino Rossi’s home race at Misano, currently on the provisional calendar for September 12. But that is the same day as the Monza F1 race in Italy. Subsequent changes are not expected to be confirmed until after this weekend’s Valencia GP in Spain, but are believed to impact on Silverstone’s June 6 slot. 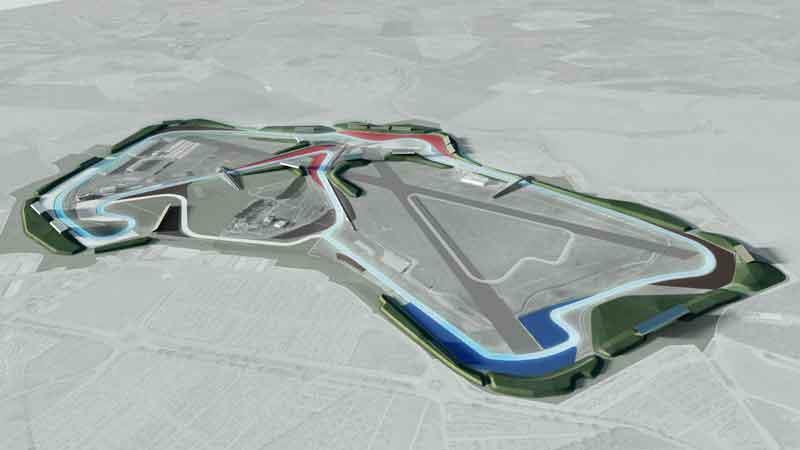 Silverstone not only clashes with the Isle of Man TT, but the prospect of Formula One returning to the Northamptonshire following the collapse of Donington Park’s ambitious F1 plan might also force a date change. There was speculation that Silverstone could switch dates with the American MotoGP in Laguna Seca on July 25, but nothing has been confirmed. The 2010 football World Cup in South Africa has also added to the dilemma, with F1 and MotoGP reluctant to clash with major games. The draw for the World Cup doesn’t take place in Cape Town until December 4.